Melling oil pumps provide dependable performance every time in every application. Every pump is engineered, manufactured and assembled to the highest material and production standards. Manufacturing processes include state of the art CNC machines and the latest phosphate coating processes. 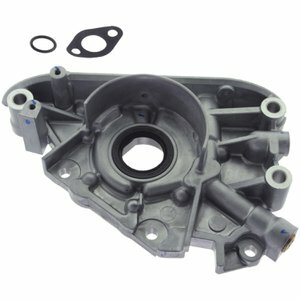 Melling oil pumps are manufactured from high quality materials in either cast iron or cast aluminum as specified by the OEM engine manufacturer. Internal pump parts are produced from sintered metal or steel. Gears are machined to close tolerances to ensure proper engine pressure and correct, efficient pump operation. End plates are precision ground for maximum ware resistance. Depending on application and design, Melling pumps may use gear, impeller or the latest gerotor technology. When completed every Melling oil pump is individually tested for pressure and flow under conditions designed to duplicate actual engine operating conditions.